Vanessa first worked for Heritage in 1995 whilst obtaining her professional qualifications and then going on to qualify as a solicitor. Vanessa took over the management of Heritage in 2002 and has been instrumental in driving the business to become one of the leading estate agencies in the area. Vanessa continues to have daily involvement in the business and ensures that all staff are trained and able to provide professional, informed advice to clients. Vanessa is one of our key valuers and has a wealth of industry and local knowledge to guarantee expert guidance. Vanessa is committed to keeping ahead of industry developments and has an unmatched enthusiasm for estate agency. With a background in property law and years of experience within the industry, she can facilitate the overall process of house buying and selling and ensure end goals are achieved. Charlotte joined Heritage in 2005 and not only heads up our Lettings Department but also has a key role in the sales team. Charlotte's tenacious and pro-active style drives the business forwards whilst her approachable nature maintains relations with clients and tenants alike. Charlotte has achieved a Graduate Certificate in Real Estate Management from the University of Birmingham and the NFOPP Level 3 technical award in Residential Lettings and Property Management. With an enthusiasm for industry knowledge Charlotte is dedicated to personal development and keeping informed of current legislative changes that affect the industry and our community. Charlotte has an unrivalled passion for providing customers with the highest level of service, and likes nothing more than building long lasting relationships with both sales and letting clients. Charlotte will be happy to support you in any way. Jessica joined Heritage in 2016 as a Senior Sales Negotiator and has shown an infectious enthusiasm for property and estate agency. Having graduated from University in 2013, Jessica has spent the past three years gaining a wealth of experience and knowledge of the industry. In 2015, Jessica successfully passed her Level 3 NFOPP Award in Sale of Residential Property allowing her to broaden her knowledge and skill set. Jessica's role at Heritage is to value properties, accompany viewings and negotiate the sale of houses. Jessica also has experience in sales progression which coupled with her love of property enables her to deliver the best level of customer service. Jessica has a passion for helping people get from 'A' to 'B' and find their dream home. Jessica's friendly and approachable manner makes her incredibly popular with buyers and sellers alike. Rachel joined Heritage in April 2006 and has been based at our busy Kings Heath office since 2009. Rachel is an intrinsic member of the sales team with her core responsibility being administration. Rachel is also skilled in dealing with sales progression and with an in depth knowledge of the process is able to assist clients throughout the entire transaction. Being office based, Rachel is a key player in our sales team ensuring that things are organised and files are well managed. With a wealth of local area knowledge and many years in customer service, Rachel will be happy to assist you through the moving process. 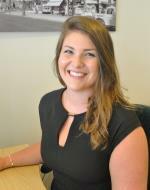 Jenny joined Heritage in October 2011 as part of our lettings team. With a strong background in customer service and administration, Jenny has progressed to Senior Property Manager and deals with all aspects of the lettings department. With many years experience at Heritage, Jenny is a vital member of the team and is well equipped with the knowledge to deal with any landlord or tenant query. Jenny has studied toward and achieved the NFOPP Level 3 Technical award in Residential Lettings and Property Management and is committed to staying well-versed of industry changes. With this drive to stay informed Jenny can provide the best advice and service levels for any letting enquiry. Tony joined Heritage in 2015 to take over the management of our letting property portfolio. Tony moved to Birmingham in the 1980s to study and has been here ever since! With his background in managing large customer service teams and being a landlord himself, Tony is very well placed to understand what landlords want from their managing agent. Through his proactive approach Tony ensures that things are dealt with quickly and efficiently and provides a vital role in ensuring landlords are compliant with current legislation. Tony's approachable and understanding manner means that he is able to identify with tenants and landlords alike. Acute attention to detail and an in depth knowledge of the industry allows Tony to provide the highest level of service. Richard has recently joined Heritage as a Viewing Representative. With a strong passion for property and an unrivalled knowledge of the Kings Heath and surrounding area, Richard is an enthusiastic and approachable member of our team. Richard is available to carry out viewings in the evenings and weekends which provides an invaluable opportunity for buyers to view properties outside of working hours. With a long career as a teacher behind him, Richard is no stranger to meeting new people and will be more than happy to help and provide guidance where required.